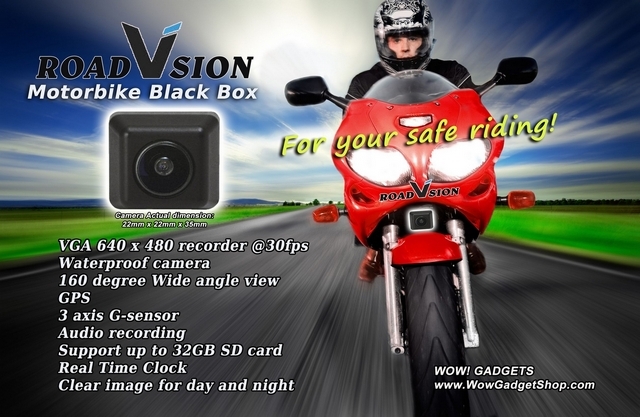 RoadVsion is a unique black box designed for motorbike. It comes with a waterproof camera with viewing angle of 160 degree. Records both day and night scene clearly in VGA quality. Equipped with G-sensors and GPS, you will never miss out all the important data needed.